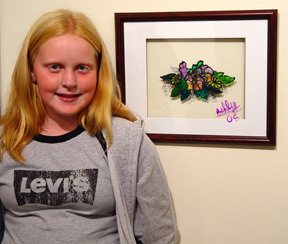 The popular “Young At Art” exhibition is now on view at the Pacifica Center for the Arts. 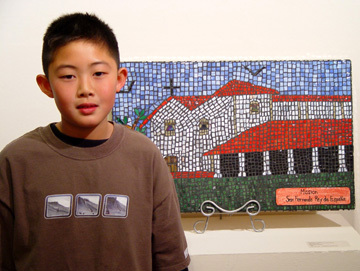 This annual exhibition features some of the talented students from Pacifica schools as well as from the summer art camps and art classes at the Sanchez Art Center. 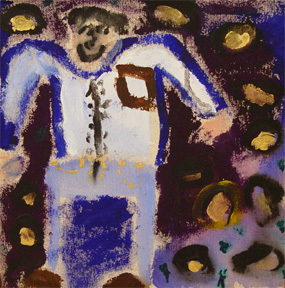 Many of the young artists have been exhibiting in this show for the past six years. 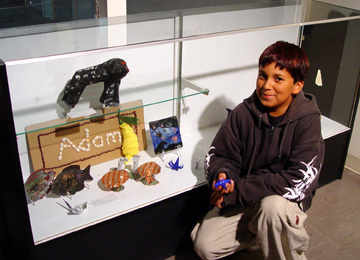 Adam Gossman, whose sculptural installation called “Childhood” is displayed in one of the glass cases, looks forward every year to having his work on display in the East Wing Gallery. 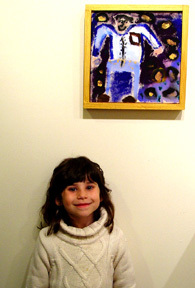 Other artists in the show have created sculpture, ceramics, mosaics, stained glass, paintings, drawings, books, and photographs ­ showcasing the up-and-coming talent from Pacifica.